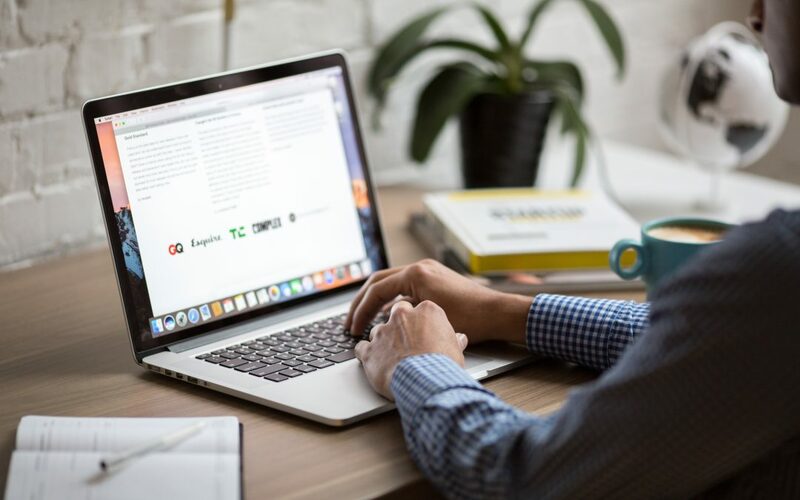 Creating an email campaign for your business will go a long way to helping you grow your business, staying top of mind, and increasing revenue for your business. So how do you go about getting started? We’re laying out a 6-step process to get you going and on your way. If you want a quicker snapshot – make sure you visit our Intro to Email Marketing post. What are you trying to sell, and who are you selling them to? How often should you send out emails to your customers? What should you put in your emails? These are all important questions to ask yourself when setting up your strategy. As with everything you do in your marketing, consistency is key! How often can you show up for your customers, generate new, quality content and provide value? If that’s once a month, then that’s great, but if you can show up weekly that’s even better. Remember to think about what you’re selling. While your emails should also follow the 80/20 rule (80% providing value and 20% selling) you want to make sure your content is at least in the same category as the product or service you’re selling. For example, this month H & E Marketing Solutions is launching the Email Marketing workshop. So we’ve made July all about email marketing to keep educating people about the workshop and how email can impact business. Each week, our subscribers will get an email talking about a different piece of the process and be encouraged to join us live on Facebook. We have business owners and experts talking about how email can impact your business. 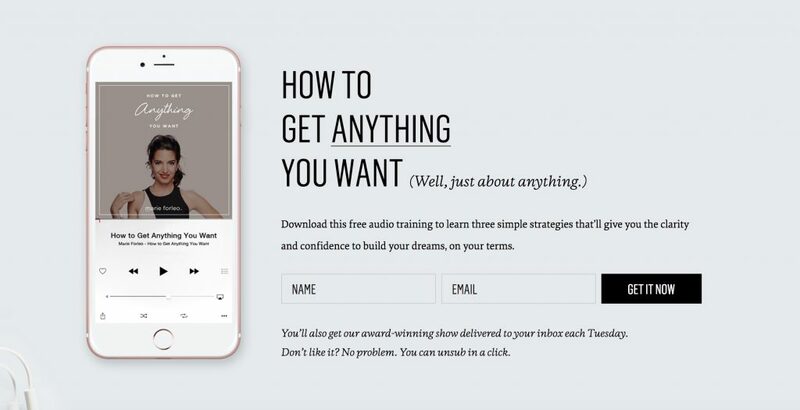 Each piece of content has a brief mention of the workshop, but nothing is a crazy hard sell. By mapping out your content for the month it can really help you define what your emails should include, what content you have to share and keep consistency with the other digital marketing channels you have. There are so many different email marketing platforms you can use. So how will you choose the one that’s right for you? We’ll break down a few of the most popular ones for you. Before we dive into the different options, some basic definitions. Action-based autoresponders are emails that get triggered when a subscriber takes an action. This can be hitting a landing page, clicking on a link in your email or signing up for something on your website. Time-based autoresponders are when an automation email series is triggered after a set period of time. A/B split testing allows you to send to different versions of an email to see which one performs better. MailChimp is very popular and really great for those that are just starting out. They offer a free account that gives you up to 12,000 emails a month and up to 2,000 subscribers. 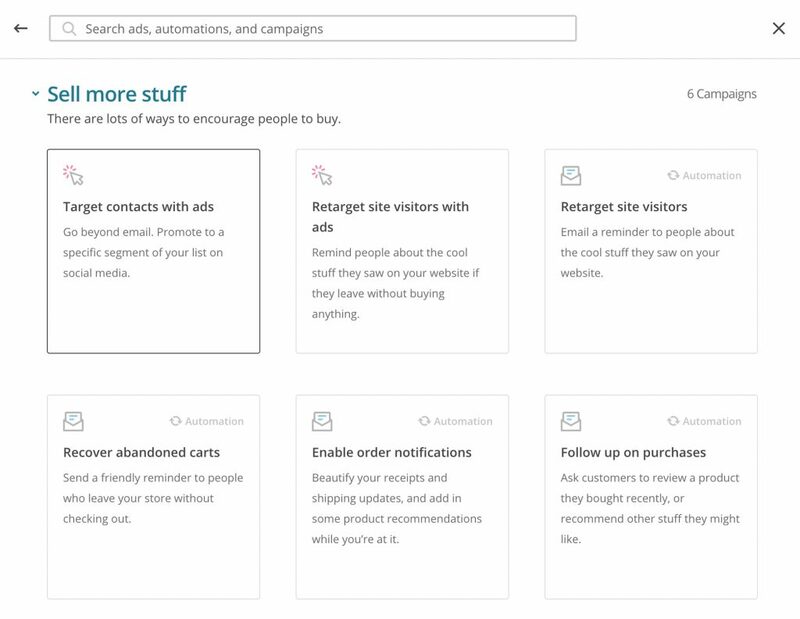 MailChimp is also really great if you’re doing eCommerce. 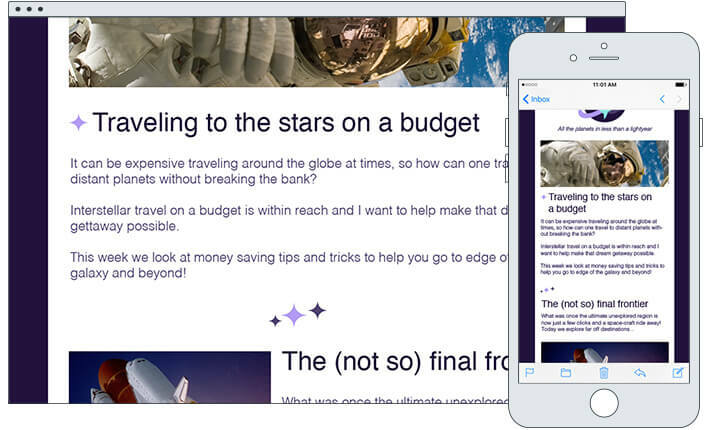 There are lots of templates you can use to create beautiful emails and is a great option of you’re looking for beautifully designed, drag and drop visually rich emails. 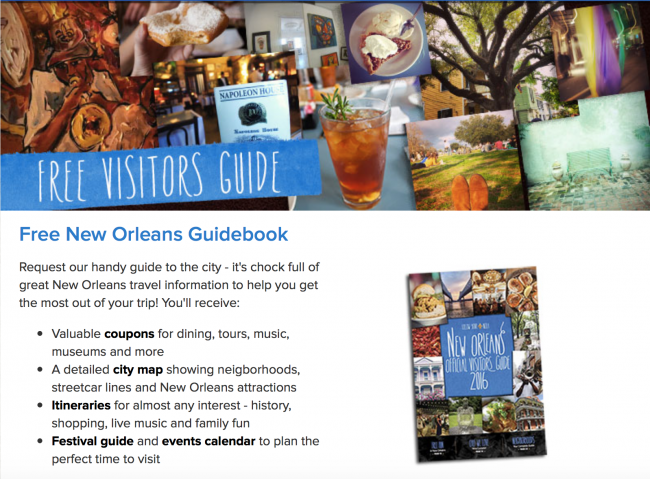 You can include a downloadable link. Several plugins availalbe to help with this. 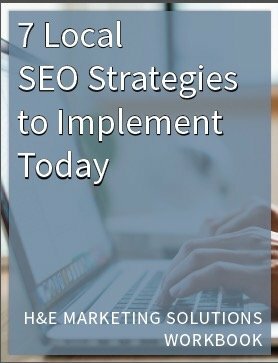 At H & E Marketing Solutions we use Seva (formerly known as ConvertKit*). This platform is made for bloggers and is a newer software but is a great platform for creating multiple segments and has a great visual automation tool which we love! 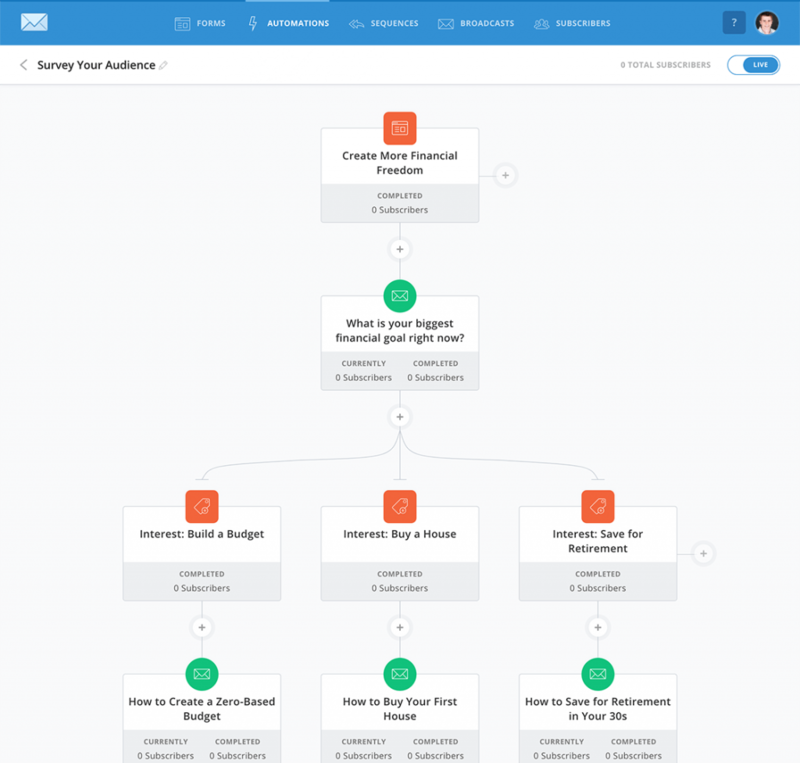 It makes it so easy to see how your subscribers will move through your email campaigns and give lots of options for all the programs and services you provide. AWeber has a long history of supporting businesses both big and small. With email automation and visually rich templates, there are tons of options for you to reach out to your audience. Like several other platforms, they sync with many other platforms and have great segmenting tools. They also offer stock photos are part of their plans to help with your design! Now that you have your strategy in place and you know how you’re going to deliver your emails, it’s time to start to grow your list. In this step, we’re going to talk about how to get emails through your website and social channels. For those of you that have a strong in-store or event presence, we’ll get to that in Step 4. Think about the product or service that you are selling and the audience that can benefit from it. Then you’ll want to create your lead magnet or opt-in offer to get people to give you their email address in exchange for the freebie. Eventually, you’ll want to sell them on your signature product, so make sure that whatever you choose to do lines up with your sales goal. audio file teaching about something. Once you have your content written, designed and ready to distribute, you’ll want to make sure that you have an automated campaign to continue to nurture those that give you their info. More on that later! Your business may host several events or have significant traffic in your store. There are several ways you can take advantage of this and grow your list. host regular giveaways where people give you their email in exchange for entry. create FOMO (fear of missing out) by only share events and discounts through email. collaborate with other businesses and launch an exclusive product to their list to encourage people to sign up for yours. create a rewards program where discounts and coupons are distributed through email. A big thing we hear is trouble with deciding what to send out as content. Creating content may seem overwhelming, but if you just sit down at the beginning of the month and line it all out you’ll find it’s not too bad. So what should you be sharing with your list? new products or services your offering. a behind the scenes look at your business. posts from your blog or video series. other businesses your partnering or collaborating with. We recommend sending out weekly emails to your list that are educational and provide value. Automation is the best way to stay up to date with your list and maximize your time. When people sign up for your list, you should drop them into a nurture sequence that provides value and educates them. This could be a series of emails explaining the elements of the course that they have purchased, or it could be tips for ways they could use the product they purchased. Automation is also great for reminding people of their abandoned carts on your e-commerce site. Check out this example from Ralph Lauren. They are not only reminding you of your abandoned cart, they are also suggesting some additional items that might go great with the item. You can also create a similar version to this when people complete their purchase on their site. 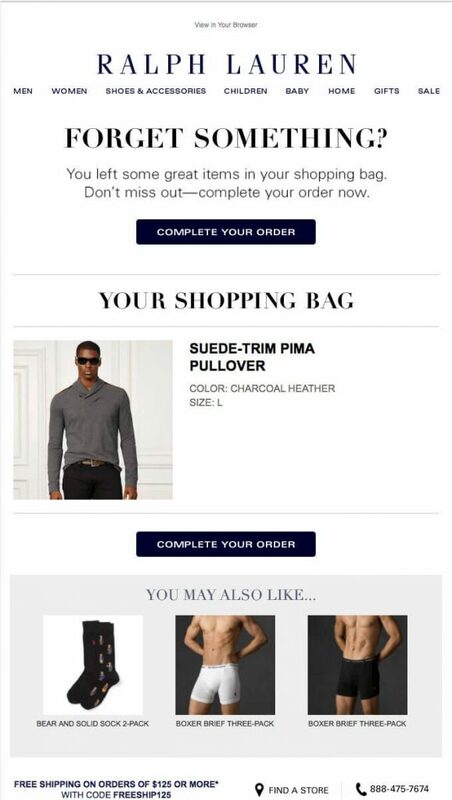 Using email go upsell them on additional items is great because they are already a warm audience. Don’t forget in the power of recognizing your customers’ birthdays or milestones that make sense for your business as well. Just make sure you’re reviewing your sequences on a regular basis to ensure they are still up to date with your current offerings, products, and business goals. Your email campaign pulls your customer brand experience through to your inbox. You then are giving them an opportunity to have a one-on-one conversation with you and grow their loyalty. Don’t underestimate the value of email and it’s ability to nurture leads and increase sales. Share this article on Facebook alongside the success you’ve had with your email marketing campaigns! Building a business is hard work. You not only have to develop your business products or services, manage your team, and finances, you also have to market them and get people to know they exist. It can be overwhelming to think about all the outlets you can showcase your products. Should you go print or digital? How do you grow your list? Growing a following on social media can be tricky. Have you thought about building relationships with other like-minded businesses to help grow your marketing reach together? There are many reasons why collaborations and utilizing influencers can be a benefit for your business as well as helping your partners. In this post, we’ll share some ideas for how to use collaborations to grow your business, expenses and gain more reach. Creating media can be expensive and time-consuming. You have to hire a photographer, pull models, build stories, get them edited and on and on. Instead of taking that all on yourself, work with other businesses to share the load and get images all can use. For example, take a retail store that sells guitars. They partnered with an outdoor company that makes chairs, hammocks, etc. They could create a beautiful outdoor camping site and take lifestyle photography showing people enjoying the outdoor product as well as the guitar products. Both companies get photos that are relevant to their core audience and can share in the expenses. You can take it a step further as well! Now that you have these amazing photos, create a partnership for how you use them. Share photos on Instagram or Facebook and tag each other. Educate each other’s audiences on this amazing business that has a product/service that your customers might also enjoy. This is definitely a buzzword these days. At a very basic level, this means that you can utilize people that have followings that match your audience to share your product with them. Why does this work? People don’t like being sold to, they like see products and services that other people are using and get referrals and recommendations from others they already know like and trust. 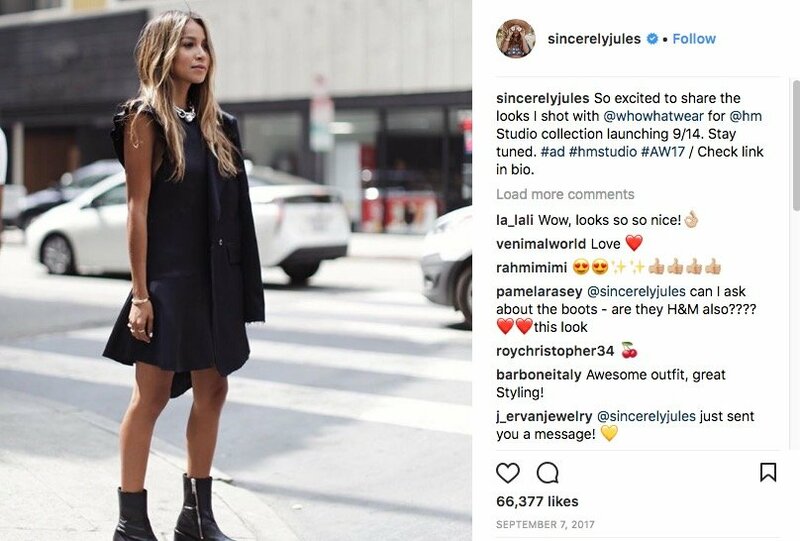 In the example below, you’ll see a campaign that H & M did with an Instagram influencer. A quick way to tell that it’s a partnership is the #ad or #sponsored that is included in the post. The FTC has regulations for how you have to signify that the post has money or goods exchanged. So how much does this cost? Going after local up and coming influencers can be really cost effective or just be trade. The key thing is to remember that you still want to go after your core audience. Finding events that are attended by your core audience can be a great way to increase exposure. Choosing the right event can be tricky. There are several ways that this can benefit your business. access to a new audience. opportunity to network with other businesses. ability to share partnerships online and through social media. The beauty of events is that you can reach audiences through your social media accounts as well as in person. Creating Facebook events and commenting on topics will build know, like and trust with their audience. Providing value at events will help people get to know your product or service and be more likely to get involved. So what kinds of events are great to be a part of? That entirely depends on your business but here are some ideas to get you started. create a pop-up shop for your product at coffee shops, bars, etc that your audience frequents. guest host a networking meeting. Let us know what other ideas you have for events, we’d love to hear them! Creating partnerships can help drive brick and mortar traffic as well as help you grow your social media following. 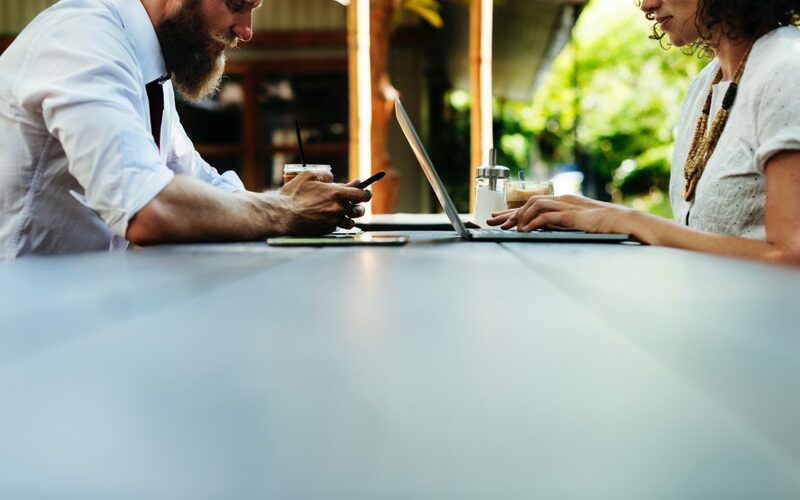 Think of a list of 5-10 businesses or individuals you could reach out to that might be interested in a partnership that can benefit both businesses. We look forward to hearing more about how you create unique partnerships.